I'm sure the word "Eggless" is everyone's favourite now! Mine too, I'd try to omit egg in desserts and cakes if have to. Today, I'm gonna share with you one of the first desserts I made in early days of my cooking era. At that time, I was totally a newbie not knowing many of the ingredients in a recipe. Never knew agar-agar powder existed! I've only seen the string types of agar-agar, lol! In a pot, mix all ingredients together except butter. Using a whisk, stir constantly over low-medium heat until the mixture boils a few times. Do not leave the mixture unattended to avoid burnt bottom. 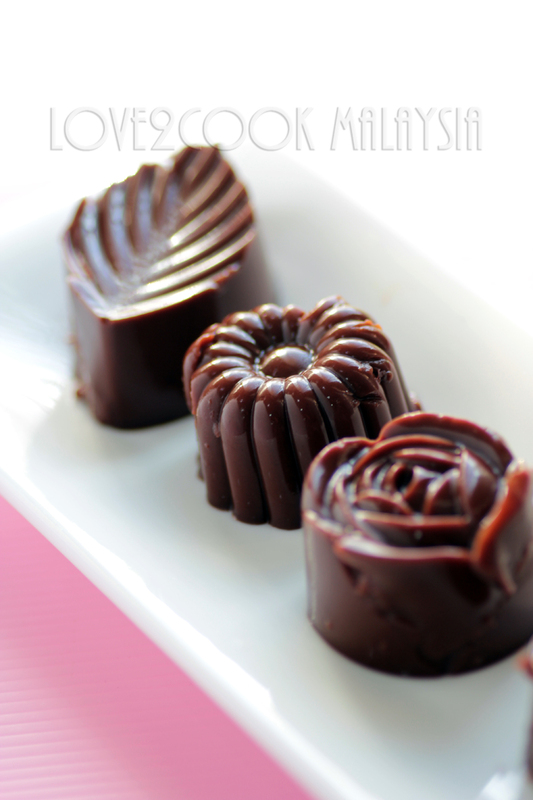 Turn off the heat and fill moulds or cake tins with the chocolate mixture. Note :~ If you prefer a soft pudding in mugs or ramekins, then skip agar-agar powder and add only 4 cups of water. The rest of ingredients and method remain the same. Please ignore the mess I made while releasing these puddings from the moulds. Was in real rush! Chocolate pudding looks so delicious!! Drooling over here!! The shapes of the puddings are so awesome!! 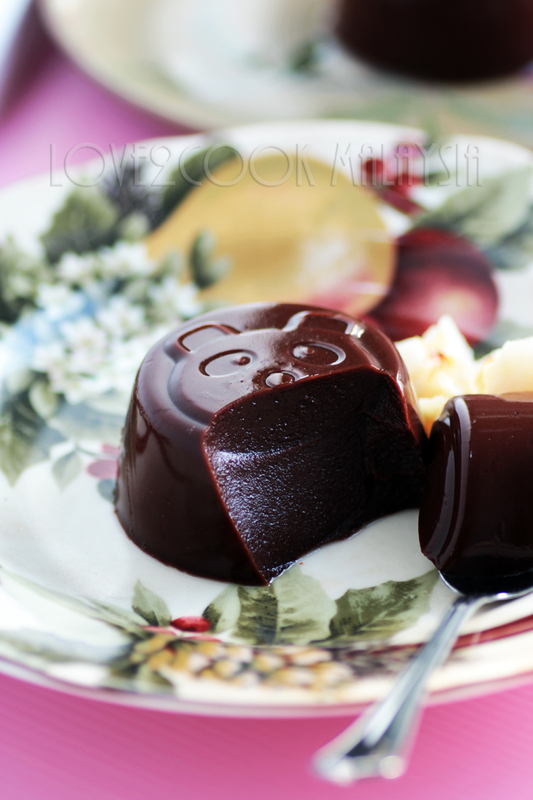 choco pudding looks delicious and your clicks too. Yummy! 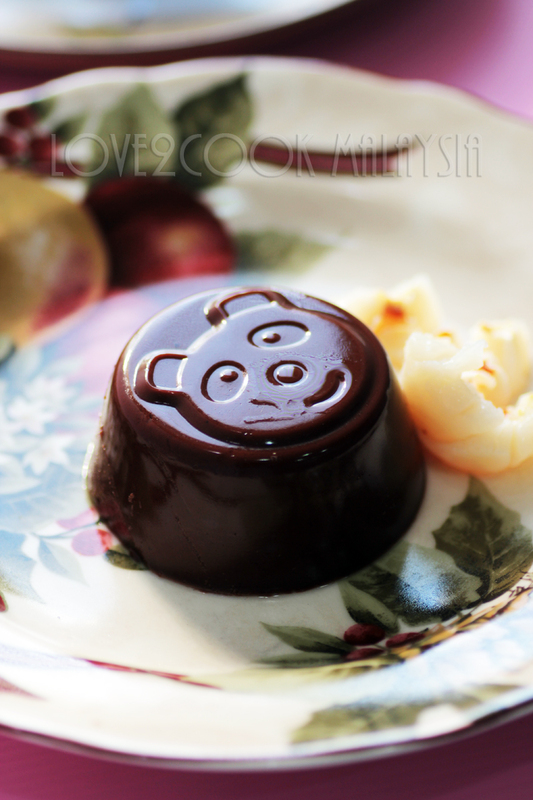 I love this chocolate pudding : ) I'd like to try it. Chocolatey, yes...a lot! Awesome pudding. i will try this method too. Totally loving it, the pretty molds make it even more tempting..
Love to finish that whole plate rite now,irresistible and rich looking pudding,cute moulds. This looks delish...i just discovered your blog and im so happy with so many recipe options.i would love to know more about you and your family..though u have so many pictures of your family there is not much info about the cultural aspect...u are Hindu but Malaysian?Are u a second generation/third generation Malaysian?Are both ur parents from the same race? I have so many questions.I hope im not asking any questions that you find intruding...but its just fascinating to learn about a new culture from a different perspective. Surprisingly I like eggs in my dessert, haha! Those beauties look so cute, cantik! Now this will definitely make its way into this weekend dessert to try, thank you Love. nice pudding love.....pls parcel to me some!! Aiyo...Sri, I cannot resist this chocolate pudding lah! Cancel my diet, I want pudding! Pudding looks so so so delicious, drooling here. Ton pudding est magnifique. Il doit être délicieux. 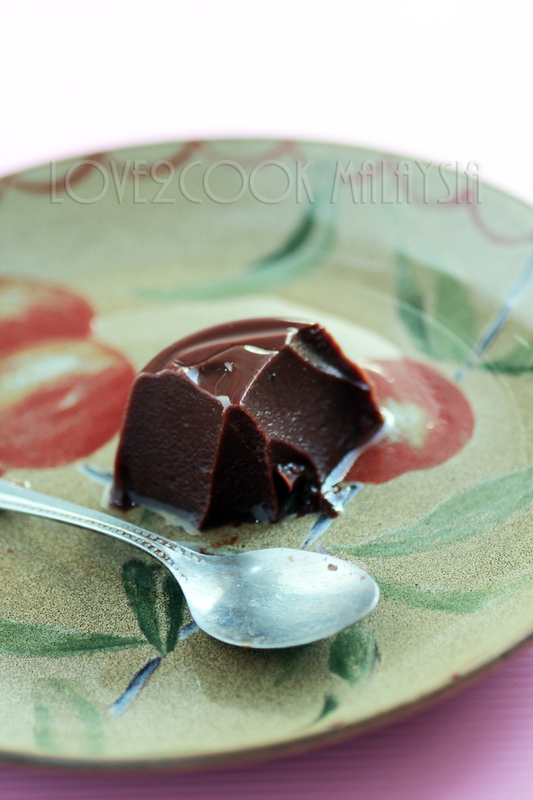 Love this eggless chocolate pudding, your mold looks very nice. Kak Love, how are you? This eggless chocolate pudding look amazing. Makes me drool lah. 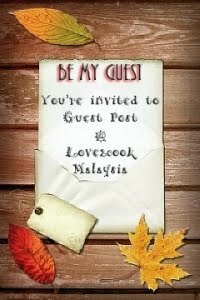 Sorry for long silence.. After weeks of travelling, now only I have time to catch up on blog visits. Hi sis, can i noe wat is buttermilk? Where i get them in Singapore? Hi, buttermilk can be found in any stores near chilled dairy products. Not sure where in Singapore. Check any hypermarkets. If you can't find it, you can make your own too. Add 1 tbsp of vinegar or lemon juice in 250ml fresh milk. Allow to set for 10-15 minutes. Buttermilk is ready. can say only wonderfull...Eggless r always in my to do list..this is really tempting me very much..